Here in Northern California, the heart of the organic food movement, lentils are often taken for granted—a lowly shelf staple lacking the cult status of coffee, wine or artisan chocolate. But there is much to learn from these humble legumes, insists Liz Carlisle, a former country music singer and Harvard grad who is now a doctoral student in geography at UC Berkeley. For the past few years, she has immersed herself in lentil agriculture, ecology and economics. And along the way, she has become something of a lentil evangelist. 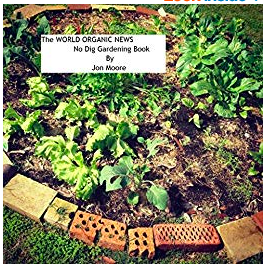 The book tells the story of a small farmer on a 280-acre patch of land in the Great Plains, who dared to take a stand against agribusiness by planting what others considered weeds. David Oien led a small underground network of farmers in his conservative Montana county that investigated the wonders of lentils, demonstrating to skeptics that they enrich the soil, creating their own fertilizer, and thrive with little moisture. Years of work resulted in Timeless Natural Food, now a million dollar enterprise that sells lentils and heritage grains not only locally, but also to foodies on both coasts.